Before we talk groceries, I need to make an announcement. I’m going to be on the radio! 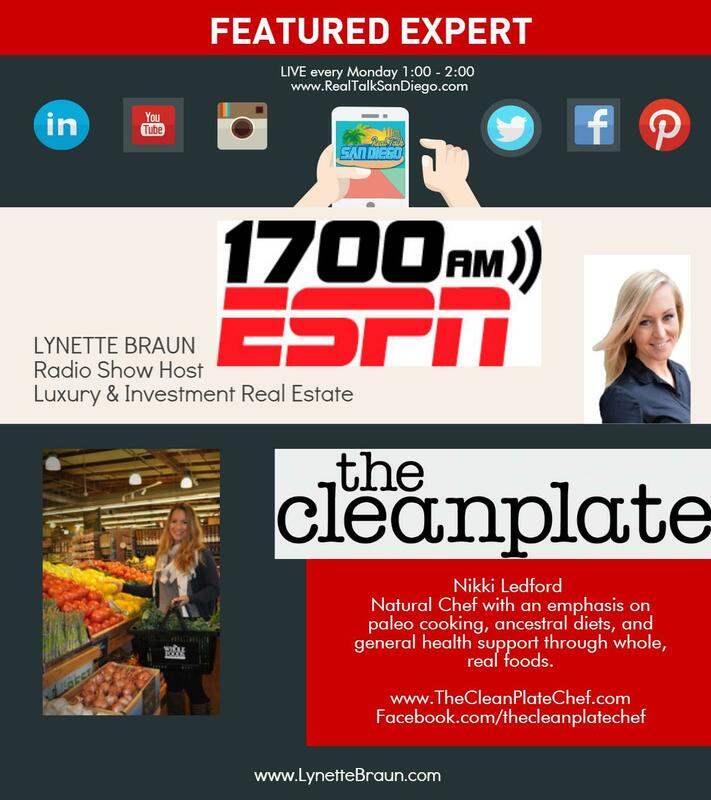 Check me out on Monday at 1 pm PST on ESPN radio 1700 AM. This week’s grocery post is going to be a bit different from the others. Usually, I pick up a bunch of random items for my personal use and then compare the prices of those items at the different grocery stores. In an effort to be a bit more budget-conscious and time efficient, I’ve decided to challenge myself to a once weekly household grocery shop. Those of you who think this is not challenging at all, let me explain…. I usually go to the grocery store every day. Sometimes multiple times a day. Some of these trips are necessary for work and meal planning, but even if I’m there for work purchases, I inevitably end up purchasing a few items for the house pantry. Items that we could likely do without. I would pick up something for dinner or lunch on a whim instead of using the food I already had or I make so many small purchases throughout the week that I literally have nothing to work with day-to-day. Well that’s all changing (hopefully). 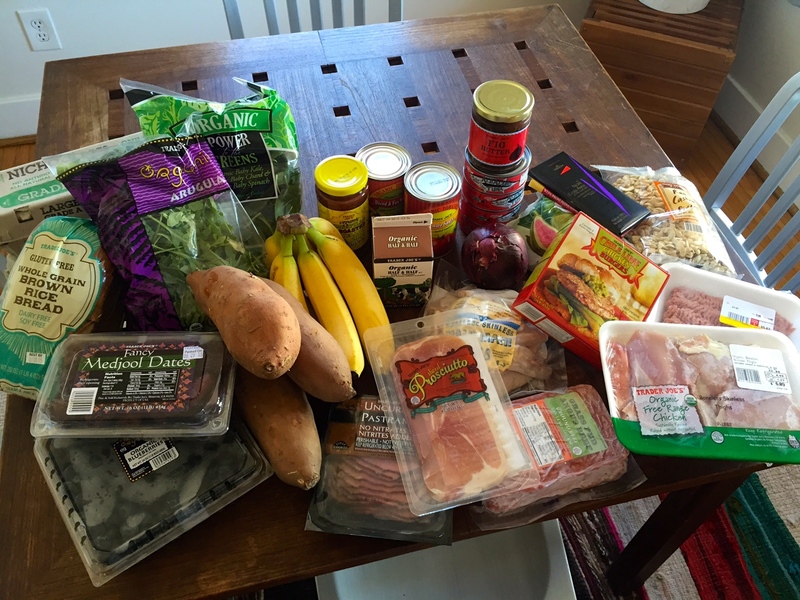 In this post, I will show you a pic of my grocery trip along with prices. I will also share some insights into my mental meal planning while doing these “big shops”. We all know that figs are a seasonal gift from the gods. Which is why they go in my smoothies during the summer months. Quite literally, the best deal out there for some organic blubes. I’m all for taking advantage of the summer abundance. Now if only I could keep my husband from eating the whole package in one sitting. I can use the arugula as a base for salads and sautés, but what I’m REALLY stoked about is recreating a panini I had this weekend in my hometown, Thousand Oaks. We decided to wait out the LA traffic by dining at Stonehaus, a fun winery-inspired restaurant. We tried a fig jam, goat cheese, prosciutto panini (on gluten-free bread of course). It was pretty incredible and it had some arugula in it. Hence, my arugula purchase. The power greens are for smoothies. Still the best deal around. For snacks and smoothies. For the panini (caramelized with balsamic vinegar) and a big pot of chili. The individually sold yams (or Sweet Potatoes as they are advertised) at TJ’s can be hit or miss. They are always the same price but not always the same size. Right now they’ve been getting in some huge yams which make the price very good compared to other places like Ralphs, Whole Foods, or Sprouts. Another great deal! I plan on using them for cashew milk or potentially some dairy-free ice cream over the weekend. Purchasing raw cashews at any other place will set you back at least another dollar per pound. The pieces are way less expensive and TJ’s always has great deals on nuts. These are also for the cashew milk that I use for my coffee (with turmeric and cinnamon added their anti-inflammatory properties)! For the aforementioned panini reproduction. This butter has figs, sugar, lemon, and salt. I’m in. Mainly for panini success, but also useful for hubby’s lunches or post-Crossfit breakfasts. Also for the panini… but I can’t promise that they won’t end up like this. One of my favorite quick snacks or meals. Just roll ’em up with some mustard, lettuce, and avocado! A household necessity for my man’s coffee habit. Insider tip, these TJ’s labelled staples are actually the Muir Glen brand. I will likely use them to make some chili! I love this salsa. Great for dipping or mixed in with some chopped chicken thighs or ground meat for a quick meal. Organic Chicken Thighs – $4.99/lb. I think TJ’s has the best tasting organic chicken. You can also grab organic thighs from Whole Foods or Sprouts for a similar price. Organic Frozen Ground Beef – $5.99/lb. Wild Caught Mahi Mahi Pieces – $4.49/lb. I love to bread these with some tapioca starch and fry them in coconut oil. So yummy and moist! This is for when the grocery supplies start to dwindle. Last week I made use of my pantry tuna stash by mixing in some shredded carrot, onion, cucumber, shishito peppers (seasonal! ), fresh mint and basil, homemade mayo, lime zest, and some Thai Chili and Lime Cashews for a zesty Thai-style tuna salad. It was a winner. Not the BEST quality turkey but it’s definitely budget friendly and easy to use for chili’s, burgers, or tacos. These are great in a pinch and they only have whole foods in the ingredients. Something hard to come by in frozen prepared food.